This exhibition features the winners of a European youth photo competition. The photos depict scenes of transition from youth to adulthood as seen through the lens of young people, reflecting on what it means and how it feels to become adult nowadays. The competition attracted more than 200 entries from young people across Europe. The exhibition is part of a European-wide research project titled EXCEPT. The project aims to develop effective and innovative policy initiatives to help young people in Europe overcome labour market insecurities and related risks. Unlike traditional research projects, young people are the voice of EXCEPT and the project acts as a facilitator to ensure that their stories are heard by policy makers across Europe. 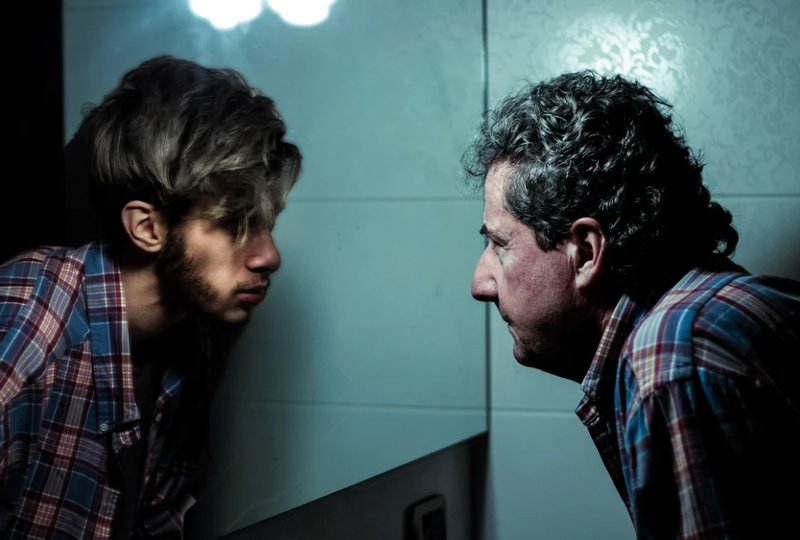 Competition winners include Filippo, 21, from Italy, whose entry (pictured) represents his feelings about becoming adult; ‘I think I will be really adult when I can see my father in the mirror’. This entry was posted in News, Past exhibitions on February 21, 2017 by Clare Green.